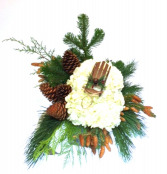 Warm up your Christmas dinner table with this classic and traditional centerpiece. Reds, whites, pinecones, berries and the bright light of a trio of candles to bring some light. "And they'll feast, feast, feast, feast. They'll eat their Who-Pudding and rare Who-Roast Beast." 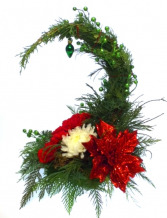 - The Grinch by Dr. Seuss Anyone who loves the story about 'The Grinch Who Stole Christmas' will be sure to love having this feature piece in their home for Christmas! 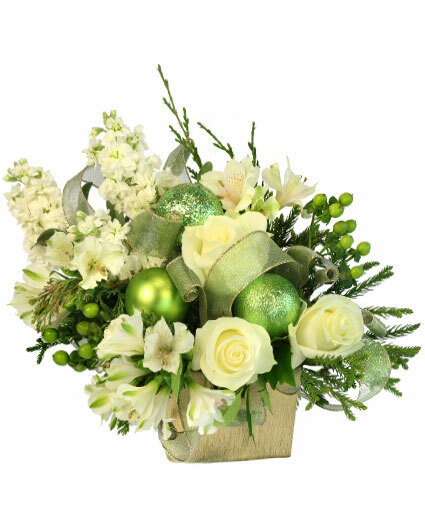 We can customize the colour of the glitz on this and the upgraded $75 Glitzy Grinchy Tree had 'whoville' like puff balls adorning it!